The Mackay emerald necklace features a spectacular 167.97 carat Muzo emerald. 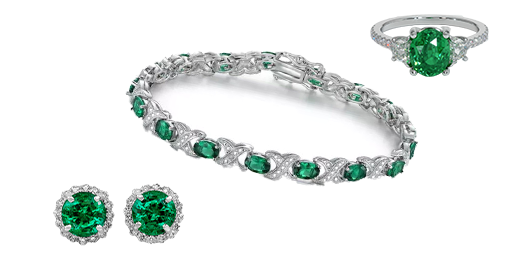 With emerald, as with all colored stones, color is by far the most important of the four criteria. Imprecise cutting and visible inclusions that would be intolerable in a fine diamond are perfectly acceptable in emerald, as long as the color is there. To understand how color is valued in emerald, it is important to understand how it is assessed. The relationships between hue, tone, and color saturation. More recently, gem dealers relied on descriptive terms and trade names that are not universally recognized or understood. Today, gemologists seek a more objective means of defining the color of an emerald, which is determined by trace elements. An emerald’s color, and that of other colored stones, is now described by the terms hue, tone, and saturation. 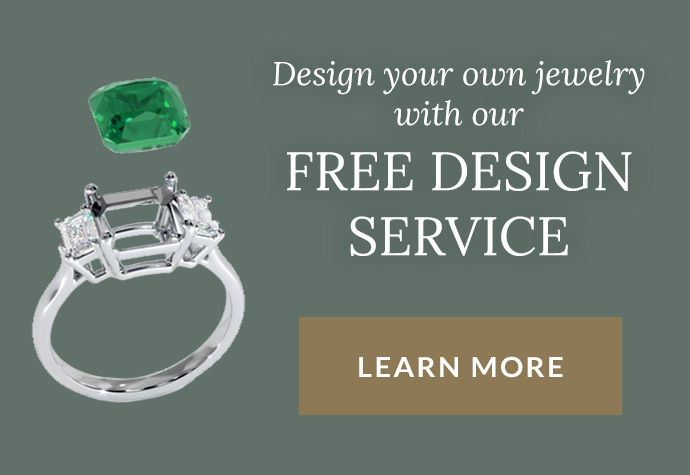 Color is a critical issue because even slight differences in hue, tone, and saturation can make a huge difference in the price of an emerald or emerald-like stone. Ideal color in emerald is defined as bluish green to green, with strong to vivid saturation and medium to medium-dark tone. To understand exactly what that means, we need to explore each of these three terms. The hue is the gemstone’s basic color. While a stone’s color can be accurately described with a single term such as red or green, more often gems are combinations of hues. For example, emeralds can have both yellow or blue secondary color components that affect their beauty and value. 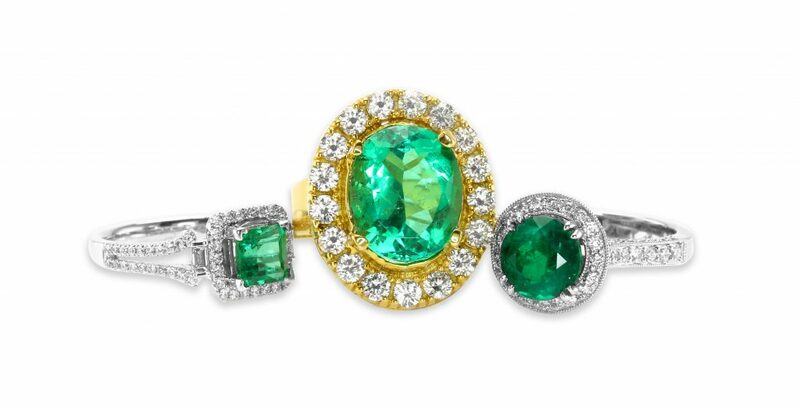 An emerald’s hues range from yellowish green to bluish green. Which color is best is a matter of preference. Some feel that yellowish greens are warmer than the bluish greens. Others prefer a bright bottle green. Still others insist that quality emeralds are bluish green. Each emerald will have a different blend of hue, tone, and saturation. The color boundaries of emerald are subject to considerable debate in the industry. Even experts disagree about the degree of green that makes one stone an emerald and another stone a less costly green beryl, for example. If the stone is too yellowish or too bluish, it is not emerald. The best way to evaluate and compare color is with actual gemstones. 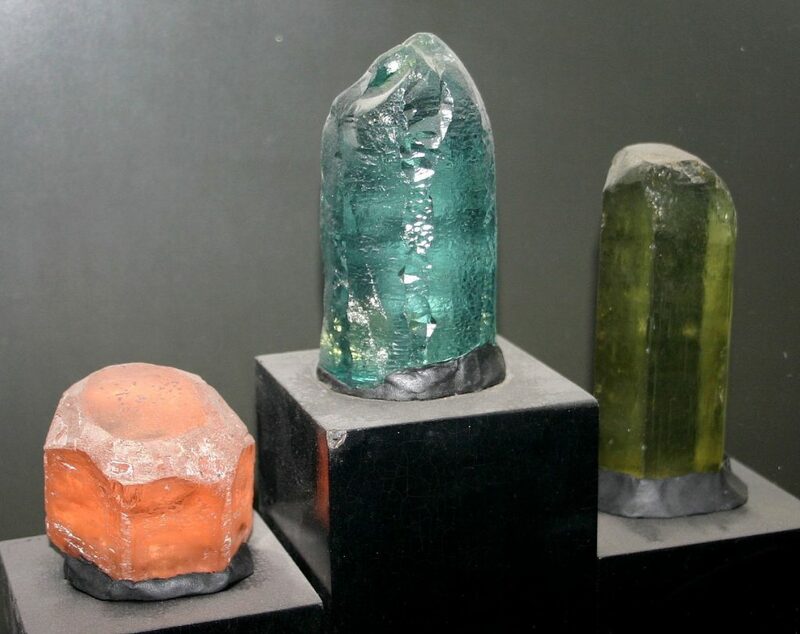 Many gem labs have a set of master stones, which they use to evaluate whether a particular stone is emerald or green beryl. Tone, which describes how light or dark a stone’s color is, will also influence an emerald’s value. Tone is described by terms such as very dark, dark, medium-dark, medium, medium-light, light, and very light. Most fine emeralds have a medium to medium-dark tone. Light tones are typically termed “green beryl.” The tone of an emerald must never have a negative effect on the stone’s brilliance . An emerald should not be so dark that its color is obscured, nor so light that its color appears diluted or indistinct. An example of the range of emerald color tones. Saturation describes how pure or intense a color appears, and it is a key component in determining an emerald’s value. Emeralds with high saturation levels have more of the trace elements chromium or vanadium. To understand saturation, imagine a bucket of bright green paint. If the bucket contains only green pigment, the paint will be extremely rich and bold–what jewelers, gemologists, and appraisers describe as “vivid” saturation. An emerald’s color saturation level plays an important part in its value determination. The gray paint in our imaginary bucket is called a saturation modifier. With cool colors, including blue, green, and violet, the typical saturation modifier is usually gray. With warm colors, such as yellow, red, and orange, brown is usually the saturation modifier. An emerald with poor saturation would be described as grayish green. Any hint of gray in an emerald is frowned upon by connoisseurs. The very finest emeralds have “vivid” saturation, but emeralds with “strong” saturation are also prized. Emeralds with lower levels of saturation can be attractive, but marketability decreases significantly as saturation dips to “very slightly grayish” and below. An emerald’s color also depends on how it is cut. Emeralds have a weak to distinct pleochroism that must be taken into account when stones are cut. Emeralds are dichroic , which means their color changes with the angle at which they are viewed. Consumers usually prefer the bluish-green dichroic color to the yellowish-green color, and emeralds are generally cut so that the preferred color is visible through the crown of the stone. Nevertheless, there are occasions when a lapidary may choose to compromise an emerald’s color in order to maximize the size of a finished gemstone. A skilled gem cutter can also influence the apparent color of the stone by maximizing a stone’s brilliance. This is accomplished by fashioning stones with little evidence of windowing or extinction . A diagram of the parts of an emerald cut gemstone. The quality of an emerald also depends on the evenness of its coloration. Alternating bands of color, referred to as color zoning, do occur in emerald crystals. Slight to moderate color zoning will impact the quality of the emerald if it is visible when the stone is viewed face up. Emeralds are usually cut with their crowns parallel to the color zones so that they appear evenly colored when set in jewelry. A small area of intense color retained near the culet of a cut emerald can make an otherwise colorless stone appear bright. Some colored stones regularly feature more inclusions than others, so they are assessed according to different clarity standards. Emeralds rarely exhibit the clarity of fine diamonds or even the relative clarity of sapphires or rubies. 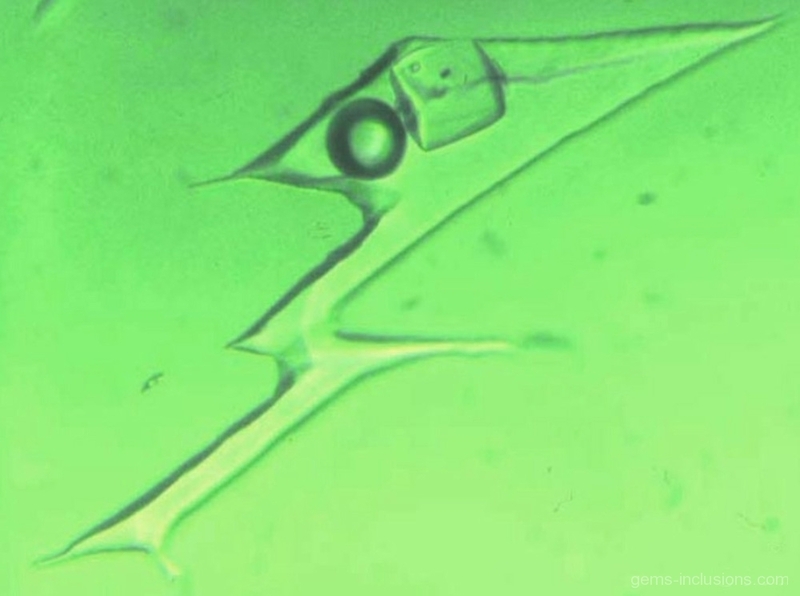 Instead, they are host too many different inclusions, and even the best stones are not expected to be free of inclusions when viewed at 10x magnification. 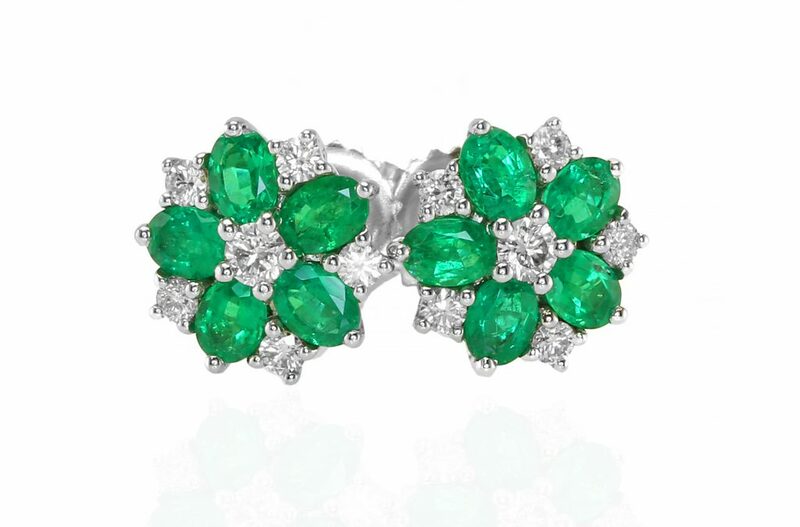 A beautiful pair of our custom-designed earrings with emeralds placed in a flower style. The best clarity grade for an emerald is “eye-clean,” which means no inclusions are visible to the naked eye. Any inclusion that decreases the transparency of an emerald also reduces its value. Eye-clean emeralds command very high prices because they are so scarce. The extreme rarity of transparent, inclusion-free emeralds can make them more valuable than diamonds. The Gem Trade Laboratory of the Gemological Institute of America classifies emeralds as a “Type III” stone, which means that they are almost always included. When evaluating the clarity, experts consider the size, number, location, and overall visibility of the inclusions. Emeralds are classified as “slightly,” “moderately,” “heavily,” or “severely” included. Stones that are “heavily” or “severely” included have large inclusions that negatively affect their appearance and perhaps their durability. Because this is such an important feature to understand about emeralds, we have dedicated an entire page to the types of inclusions that can be found in emeralds. A chart helping to define the variance in emerald clarity. An emerald’s size, if expressed in a unit of weight, is called a carat (abbreviated “ct”). A carat is a metric unit equivalent to one fifth (.20) of a gram. One hundredth of a carat is called a point (abbreviated “pt”). A number of small emeralds may be weighed together to give a total carat weight (abbreviated “tcw” or “ctw” for carat total weight). Because emeralds have a comparatively low specific gravity, a one-carat emerald will appear larger than a one-carat ruby. Emerald on quartz from Carnaiba Mine, Brazil. Large emeralds of exceptional quality are extremely rare, but commercial quality emeralds are commonly available from melée sizes up to 4 carats. Fine quality emerald rough is extremely expensive, so quality stones are not usually cut to calibrated sizes because it could result in a significant loss of weight. 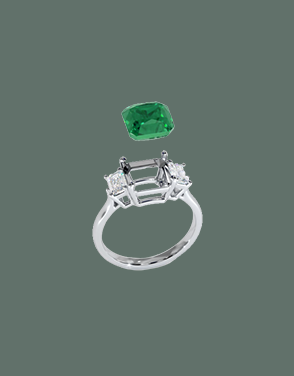 Commercial quality emerald is more likely to conform to standard calibrated sizes. 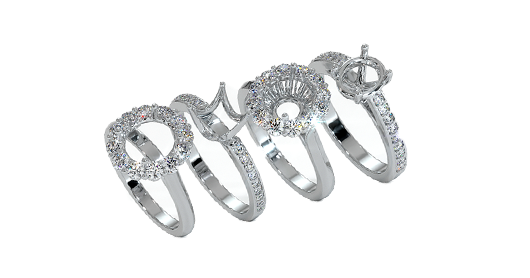 Oval and emerald cut stones of commercial quality are readily available in the 5×3, 6×4, and 7×5 mm sizes. Round stones are common at 4mm and below. Large emeralds up to 15 carats or more can be found in jewelry, and faceted stones over 100 carat are known. While a five-carat stone may be considered small for an aquamarine, a quality five-carat emerald is large enough to get the attention of serious gem collectors. In 1988, a slightly bluish-green eye-clean Colombian emerald sold at Christie’s for more than twice the per-carat price of a similarly sized, quality diamond. If you want to cut rock crystal, hammer four wooden pegs into a stool so that the stone can be wedged between them…Take a saw, scatter abrasive grainy sand mixed with water and have two helpers stand there to pull the saw while constantly pouring on sand and water. This should continue until the rock crystal divides into two, which you then rub and polish…Onyx, emeralds, jasper and chalcedony and other precious stones can be cut, trimmed and polished in the same way. An incredible emerald cabochon ring. Like many other gems, emeralds reveal their full beauty only when they are cut. The manner in which an emerald is cut and the care taken in cutting are both critical to its final quality and appearance. The term “cut” can have several meanings when applied to emeralds and other gemstones. For example, it may describe the faceting style or shape of a finished gemstone. In the distant past, most emeralds were fashioned into cabochons , but today, the practice is mainly reserved emeralds that are too heavily included to facet. In addition, both trapiche emeralds and cat’s eye emeralds are cut as cabochons to display their special phenomena. An emerald cut en cabochon may be any shape, but circles and ovals are the most common. While emerald cabochons may lack the brilliance of faceted stones, they display a stone’s color to full advantage. Faceted emeralds can be dazzling, but a well-cut emerald cabochon possesses a rich, mellow glow that a faceted stone cannot match. A high quality cabochon is distinguished by even surfaces, bright polish, symmetrical outline, and pleasing proportions . A cabochon that carries most of its bulk on its underside will appear small for its weight and represents a poor value. The variety of gemstone cuts available to a lapidary. Emeralds are often faceted to show off their best qualities. Most emerald crystals are six-sided prisms. Cutters can usually saw, grind, and polish emerald rough in any direction because the crystals have regular shapes, nearly uniform properties, and an absence of significant cleavage. The most popular cut for an emerald is the “emerald cut.” This is a type of step cut with a large rectangular table and truncated corners. Emeralds are brittle, so the vulnerable corners of the stone are faceted to avoid potential damage. A high quality emerald cut is characterized by the regular and parallel nature of the facets. Round, oval, heart, pear, marquise shapes cut in mixed and brilliant cutting styles are also available, but they can be rare in larger sizes. A stunning example of an emerald cut on an emerald. They desire to maximize the apparent color of the gem. This includes orienting the stone to show the most desirable pleochroic color. 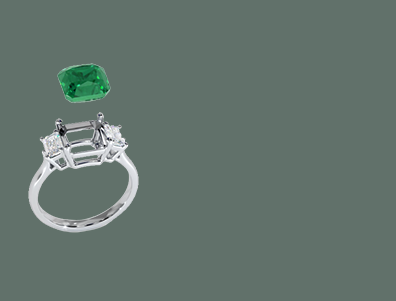 Emerald cutters also aim to cut stones with maximum brilliance and to eliminate the effects of color zoning. Colombian crystals are often color zoned; many have more intense color at or near the surface of the crystal. Without careful cutting, the finished stone may be lighter in color than the original crystal. 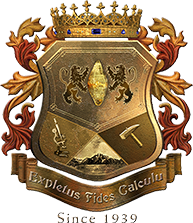 They desire to maximize the gemstone’s final weight. One of the reasons that the emerald cut is so popular is that it can be executed with minimal loss of crystal weight. They desire to minimize the appearance of undesirable flaws or inclusions. Cutters have several challenges in this regard. Emeralds are brittle and they can be damaged during the cutting and polishing process. For example, nearly all emeralds have significant fractures, which are not only unattractive but make the act of cutting the stone very tricky. They are required to fill consumer demand for certain fashions or cutting styles. 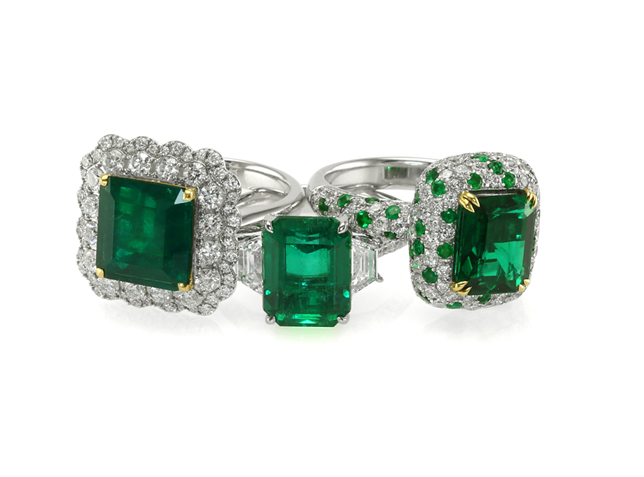 A phenomenal emerald and diamond ring by Cartier. 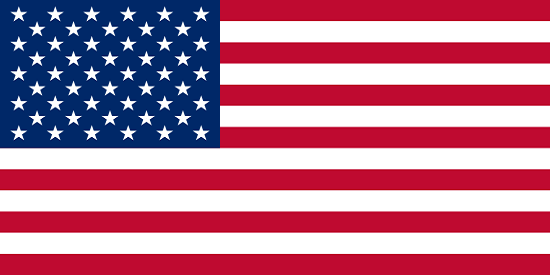 At times, these guiding principles may conflict with each other, and on occasion, cutters may choose to compromise color or clarity to retain carat weight. 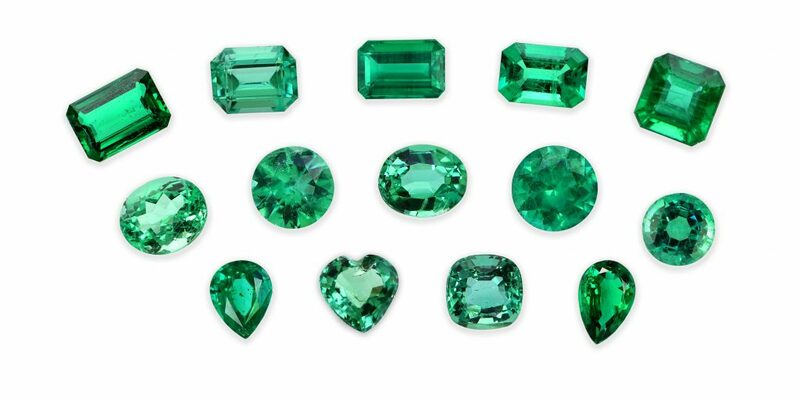 In some cases, for example, it is not possible to orient an emerald for ideal color return because the potential loss of weight would be too great. 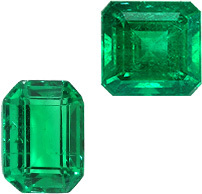 Some emeralds receive non-standard, asymmetrical cuts derisively referred to as “native cuts.” These odd cuts are not the product of incompetent lapidaries. They result from efforts to conserve emerald rough and avoid highly included or dangerously fractured areas within a crystal. Sometimes they represent efforts to improve a finished stone’s color by avoiding areas of weak color or artfully incorporating multiple colors within a stone to yield a more desirable hue. Many collectors tolerate native cuts on extremely valuable emerald rough. A native cut that has been expertly executed may be called a designer cut to minimize negative connotations and describe artistically rendered stones with maximum weight. Finish describes the precision with which facets meet, the relative size and number of facets, and the quality of the stone’s polish. In a well-cut emerald, facet edges should be crisp and straight, not rounded, flattened, or wavy. There should be no obvious extra, asymmetrical facets wedged into the cut, and the number and size of the facets should be appropriate for the size of the stone. Too many small facets, and the points of colored light reflected by the emerald will appear to blur together. Too few or too large facets can leave an emerald looking lifeless and dull. Emerald can be polished to have a surface luster similar to glass (vitreous). The surface of a well-cut emerald should not have any nicks, pits, scratches, polish marks, or other blemishes . Most of these surface imperfections can be removed by additional polishing, often with very little loss of weight. With the 4Cs of emerald quality now covered, you will learn the science behind how beryl crystals are formed in Beryl Crystals & Chemistry.